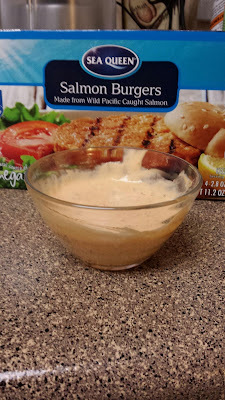 Remove Salmon burgers from oven/grill pan and allow to rest. Mix Mayo, Sriracha Sauce & Sweet Relish. Add a few squeezes of juice from lemon to sauce mix. Stir well and set aside (refrigerate until ready to use). 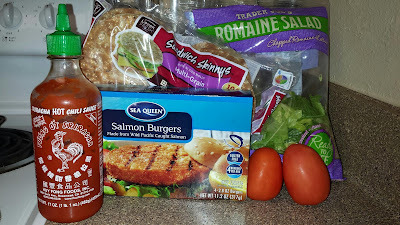 Slice tomatoes and prep lettuce. 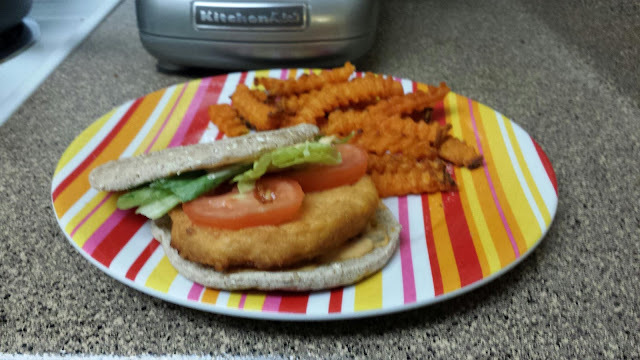 Prepare Burgers and serve with Sweet Potatoes Fries! YUM!